There’s a stigma surrounding payday loans or title loans, and the stigma doesn’t have to do with the loans themselves. Popular myth has lead people to believe that only the desperate borrow against things like their car title. The truth is -- more people than you’d think participate in this type of lending. Nearly 12 million Americans take out short-term loans each year. And it’s not just the same sorts of people taking out these loans. Disabled people, parents, and people of all races are statistically recorded as taking out title loans, payday loans, and other types of loans. Their reasons for doing so are not recorded, but it's safe to assume that their reasons are as diverse as the set of people participating in this form of borrowing. For whatever the reason, it is sometimes necessary to take out a title loan for quick cash. If you find yourself temporarily in financial need, Midwest Title Loans can help you support your financial goals and wants. Here’s a look at some of the most common reasons our customers apply for title loans and what our application process looks like. Why Do People Take Out Title Loans? Although it is not always the case, many people take out title loans when they are in need of cash quickly and might not have the time to apply for a traditional bank loan. Even with the best of credit, applying for a bank loan and receiving the funds for it takes a few days to a week. In instances where time is of the essence-- like posting bail for a loved one or paying for unexpected surgery -- many loan applicants do not have the time to work with a banker on getting approved for a loan and then wait for the loan to come through. Additionally, bank loans require a credit history report, which not only impacts your credit score but can put you at risk for identity theft. Because title loans do not require a credit history report, there is no need to lend anyone your social security number or other identifiable personal information. Title loans use legal car ownership as collateral rather than depending upon the credit history of the customer. Creditworthiness can be a good indicator of how capable a person is of making payments on time. However, it does not tell the whole story of the customer. Instead, having physical collateral prevents the customer from being denied access to a loan when they need one. This means customers with poor credit history or no credit history have the option of using their title as verification or promise of payment rather than depending on their credit history. Recent statistics indicate that nearly 30% of Americans have credit scores below 601, and even more Americans have no credit history whatsoever. These scores almost immediately disqualify this subset of Americans from receiving any help from typical financial institutions. Even more Americans have fair credit, which can indicate anything from having high credit card balances but consistently on-time payments to missing one payment and having a few credit inquiries on file. People with fair credit are also consistently turned away from loan opportunities, even if they have a stellar payment record. For these groups of people, having a quick and easy application process like the ones associated with title loans can make a huge difference in the quality of life for nearly half of United States citizens. If you’re the sort of person that dreads filling out forms, then you’ll be delighted at how simple the process of applying for title loan is. Typically, it takes less than half a day, and you walk out of our offices with the cash you need. Customers applying for a loan at midwest title loans come with their title in hand and their car. Midwest Title Loans gets a little information from you -- including who owns the car, what your monthly income is, and a few other elements to determine how much money we can lend you. We approve almost all of the people who come here for a loan, but the ultimate deciding factor for our lending approval is whether or not you own your car outright. If your name is on the title and you also retain all legal rights to your car, we have no problem lending to you for the full value of your car. We will set up a payment contract and lay out our terms (including interest rates). You will receive your loan once the payment terms are figured out. We also consider cars with liens on their titles. At title with a lien on it implies you are working on paying off your car, and while your name is on the title, the legal authority of the car belongs to another entity (usually a car dealer). In cases with titles with liens on them, we can buy out the remainder of the car lien and give you the remaining value of the car as a loan. For instance, if you owed $4,000 on a car but it was worth $10,000, we could give you $6000 in cash and you would owe us for the full car’s worth since we bought out your debt. Ultimately, you receive your car back once the full loan amount is paid. By this we mean you drive out of our store with both your car and your loan amount. However, we retain legal rights to the car until the loan amount is paid. This is to ensure that the loan is paid off in due time. The only time we do not accept a title is if you have no legal right over a car. For example, if your spouse is the only person on the title and owns the car outright, you may not use the title for collateral without your spouse’s permission. Are you in need of cash quickly? Let Midwest Title Loans help you with a title loan today. With locations in Kansas (8212 Metcalf Ave. in Overland Park and 2500 State Ave. in Kansas City) as well as in Missouri (603 S. Belt Hwy in St. Joseph, 6420 North Oak Trfwy in Gladstone, and 330 W. 85th Street in Kansas City), we are ready to help the Midwest get the cash it needs fast. For specific questions, or to make an appointment, contact us. Loans are a big part of the United States economy, but for the average consumer, they can be confusing. Each year, over 1.7 million people in America take out title loans alone and even more take out traditional loans through a bank or other credit institution. Bank loans are far more popular for lending, which is probably why so many myths exist around the humble title loan. Myths have turned title loan lenders into bad guys -- institutions who are set on making as much money as they can in the quickest time possible and having little to no regard for the person taking out the loan. These myths can make the application process even more confusing than it already is. But Midwest Title Loan has been in the lending business for years and is committed to dispelling myths about title loans and making the process easier. We promise that if you’re in need of a loan and are considering borrowing through our institution, you’ll feel much more confident about deciding what type of loan you want after working with us. What Are Title Loans and How Do They Differ From Traditional Loans? Applying for a traditional loan or line of credit is so mainstream that almost everyone has some idea about how to do it. This lending process involves working with a banker to determine your creditworthiness and taking out a loan based on that creditworthiness. Because your credit history is determined not only by how often you miss payments, but also by the age of your credit history, what percentage of your credit card you’re using, and how many accounts you have open there are many ways to receive a poor or fair credit score. In fact, the majority of Americans are on the lower end of “good”, and even more have fair and bad scores, and this does not mean that all of them have consistently missed payments. Having a credit score of lower than 670 can severely impact your ability to take out a bank loan -- sometimes even preventing you from doing so. That leaves many Americans with limited options if they find themselves in financial hardships. 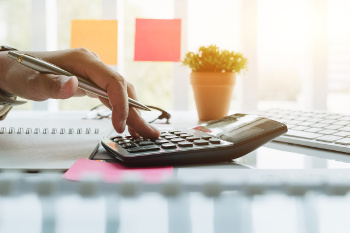 Some opt to take out lines of credit, but these lines can come with hefty interest rates that cost them thousands of dollars over the life of the loan. Instead of using your credit history, car title loans instead use physical collateral in the form of your car’s title. For traditional lenders, your credit indicates to them how much you can take out and how much you can pay back. Title loan lenders understand that credit scores often do not take into account situational factors. Title loan companies like Midwest Title Loan instead offer you the value of your car, and you make payments to regain access to your title. There is no credit score involved, and the application process allows most people to be approved for loans on their car’s worth. Those applying for a car title loan come into a title loan lender location and provide information about their car, including the owner of the car and the make, model, year, and condition of the car. Generally, as long as your name is on the title and you own the car outright, you are approved, and the lender goes over the amount they are willing to lend you against your car. If your name is on the title but has a lien on it, that means you are making payments toward ownership of the car, and legally it is not yet yours. Having a lien on your title does not necessarily mean you will get turned down for a loan. Instead, the title loan lender will set up a loan offer that pays off the remainder of what you owe to the original owner and gives you the rest. In other words, if you come into a lender with a lien on your title, they will quote you the full retail value of your car. However, your remaining amount due will be subtracted from the full retail value, and your loan will be in the amount of what is left. However, if you intend to take out the loan for your title with a lien on it, you will be expected to repay the full worth of the car. Once you accept the loan amount, the lender will go over payment terms with you, and you will be ready to receive the loan payment. What Happens to My Car After I Take Out a Loan? In legal terms, the title loan lender owns your car until you pay off the loan. However, most title loan companies will let you continue to use your car as a bank or a buy here pay here lot might let you do. Only if that you are unable to make payments consistently will your car be held by Midwest Title Loans. Are They Really as Dangerous as Modern Myth Claims Them to Be? A lot of falsities are spread about the dangers of taking out a title loan, but in truth, title loans are no more dangerous than credit cards or regular loans. If you have bad credit, no credit, or just need money quickly, a car title loan is often your best bet. And if you are clear with your provider and ask questions about your repayment terms and the terms of car ownership, you’ll understand the full parameters around borrowing from a title loan company. Midwest Title Loan’s priority is to help our customers achieve their purchase goals with the help of our loan services. Whether your priority is to pay off your car’s amount owed more quickly or to take out a loan to pay for unexpected medical expenses, a title loan is often the best way to achieve these goals. For more information about what we do, or to clarify lingering questions about the title loan process, please stop by one of our stores. We have locations in Missouri, including Kansas City, Gladstone, and St. Joseph, and locations in Kansas including Kansas City and Overland Park. For more information on how to get to one of these locations, please visit our contact page. Feel like you’re going to put yourself in debt preparing for the holidays? You’re not alone. In 2017, Americans with pre-holiday debt admitted to adding $1, 054 to that pre-existing debt during the holiday season. Each year these rates have gone up substantially, indicating not only that more people are falling into debt, but debts are becoming harder to pay off. The stigma of debt exists. However, if you’re in this boat, you should not feel ashamed. Millions of people in the United States alone feel like they need help during the holidays. December and the beginning of the new year are meant to feel hopeful, peaceful, and to be spent with family and loved ones in a time of gratefulness. Not having the money to pay for presents (or even basic necessities) during the holidays can disrupt these feelings. If you are struggling to afford the perfect holiday, there are some things you can do about it. 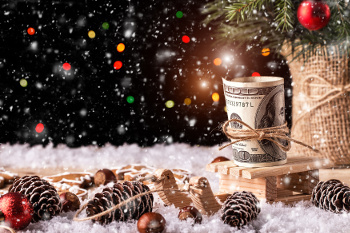 Here are the top five ways the folks at Midwest Title Loans beat the financial stress of the holidays. 1. Come up with a budget and stick to it. If budgeting isn’t part of your year-round financial routines, it should be. Budgeting helps you plan for the future without the stress of living paycheck to paycheck. Starting your budget in January of each year saves you year-round stress and allows you to plan for Christmas of that year. That way, if you want to go all-out for Christmas, you’ll be able to cut back in certain areas of your life to be able to afford it. Are you just reading this in time for the last-minute holiday shopping push? There’s no better time to start budgeting than the present. Find unnecessary costs in your spending history -- like memberships and twice-a-day trips to your favorite coffee shop -- and cut them out temporarily. You’ll find you have extra spending money and less stress after you do this. And who knows? If you start this year, you could find yourself with substantially more money for spending on gifts next holiday season. 2. Opt for homemade gifts and low-key parties. Everyone loves a good holiday party, but here’s a reminder: you don’t need to have the best one. Most people average about 15 hours attending holiday parties. And, unless you’re a millionaire, people will probably attend a party that is more extravagant, more food and booze-plentiful, and better musically prepared for. That doesn’t mean to say that you shouldn’t throw a party, but if you’re crunched for money, offering a low-key party or foregoing throwing a party that year can be just what your bank account needs for recovery. In the same vein, if you’re responsible for a gift for a co-worker or distant relative for one of those parties, consider a low-cost DIY gift. Not only will it be memorable, but it will save you from having to shell out more money for a gift that might not be a hit. 3. If you’re buying for relatives who live in another state, consider online purchases or non-physical gifts. Have a huge family spread out all over the country? This can wreak havoc on your bank account. Not only do you have to buy presents for them and their families, but you have to work shipping costs into those purchases. This can take $400 budget and move it to a $100 budget depending on how many family members you have, how many packages you have to ship, package weight, and shipping distance. This is where online shopping can be your friend. Utilizing online merchants for purchases saves you shipping costs, and ensures that your gifts are on-time for the big day. Many online retailers have gift wrapping options. Alternately, you can work with your family when it comes to wrapping your presents for children when they get there. Want to make sure the present is a surprise? Opt for gift cards or local certificates for special, non-physical gifts with low shipping rates. 4. Make a plan and utilize your credit card. Sometimes, you need to utilize your credit card -- and that’s okay. The important part of this process is that you make a plan for your credit card spending before you spend it. Set up a budget based on your interest rate and the amount you believe you’ll be able to pay off comfortably. Then, spend only within this budget. It also helps to evaluate unnecessary costs as you would for non-credit budget. Cutting out the extra spending will make it easier to pay off any excess credit in a reasonable amount of time. 5. Still need more money? Consider a title loan. Sometimes none of these options work for people during the holidays. Perhaps they don’t have the time and need money to make a last-minute purchase. 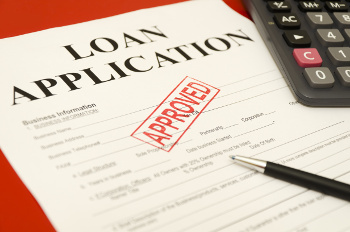 Traditional loans take quite a bit of time to apply for, up to weeks. Additionally, traditional loans are dependent on your credit history. Credit history is so greatly impacted by different factors that anyone can have a poor or fair credit score even if they make their monthly payments on time. Title loans take very little time to apply for and are usually ready the same day. They simply require that you own a vehicle and have access to its title. When you bring your title into a title loan establishment, they determine how much your car is worth and let you borrow against that worth. That way regardless of your credit you are still able to get the money you need for the Christmas season. Midwest Title Loans follows a simple application process that stresses term transparency, customer rights, and long-term benefits. We know that the holidays are financially stressful for a large portion of Americans, which is why we want everyone to know about the benefits of obtaining a title loan through our company. If you live in Kansas City, St. Joseph, or Gladstone Missouri or live near Kansas City or Overland Park, Kansas, we want to get in touch with you about your holiday spending. To make an appointment and see how much we can lend you this holiday season, contact us. Missouri and Kansas houses hardworking, salt-of-the-earth people. We’re known for our great barbecue, our music and arts scene, and our beautiful fall foliage. But one thing these states are not known for is for their good credit scores. The average Kansas resident with a credit card has an unpaid balance of $6,082, whereas the average Missouri resident with a credit card has an outstanding balance average of $5,897. This doesn’t mean people with high balances on their credit cards are bad people or even bad at controlling their finances. However, if these balances are over half of the total limit of their credit card, there can be dire consequences for the cardholder. Credit card usage has a high impact on credit reports, which means even if a cardholder is excellent at budgeting, pays all their bills on time, and has a decently old credit history, they can still have a less-than-stellar credit score because of the amount they owe on their cards. When it comes time to buy a car or pay for a significant house repair, obtaining a loan with poor credit scores is next to impossible. Luckily, if you own a car and need to make a payment quickly, options exist in the form of a title loan. Title loans are a form of alternative lending that is optimal for people with poor or fair credit. This is because applying for a loan with your title does not involve a credit check. If you have a car and you own it or are making payments toward owning it outright, you have the means to obtain a loan. These types of loans are for the full worth of the car. 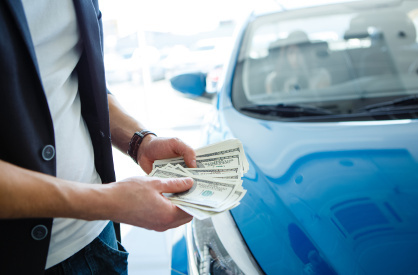 Instead of putting blind faith in your creditworthiness, title loans essentially buy your vehicle from you, and your successful loan payments ultimately end with your ownership of the car again. If you own the car outright, you bring it into a title loan lender, like Midwest Title Loans, and the lender then assesses its worth. The worth of a car is dependent upon many factors including the market value of the car, its condition, the type of car, and the year. Then, the loan offer is for the total value of the car. If you do not own your car outright, or if you have a lien on the title, exceptions can be made to help you take out a loan against this car. In instances like these, the lender will still assess the total worth of the vehicle. Then, they will pay off the remainder of the amount due on the vehicle. As an example, if you own a 2018 Volkswagen Tiguan and still owe $10,000 toward the ownership of the car, the lender will send the owner a check for $10,000, and you will continue making car payments to the title loan lender. As you can see, nothing about the state of ownership of the car changes, you change to whom you make payments. Unfortunately, many people do not consider title loans a viable lending alternative because of the big myth that surrounds it. 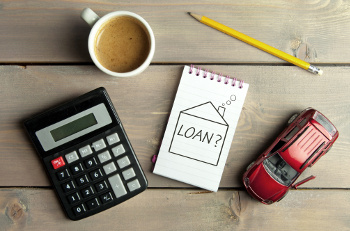 From naysayers making claims that interest rates are far steeper than many credit cards to others who fear they will never see their car again, there are many false rumors spread about title loans. For people with poor credit or no credit history, physical collateral, such as their car’s title, is proof enough that they can make payments toward a loan amount. The most important thing for those thinking about taking out a bad credit loan is to remember is that asking questions will help you in the long run. Reputable title loan lenders, like Midwest Title Loans, will help their customers understand the details of their loan because they know that the lending process is a symbiotic relationship. While some lenders do not care to discuss the details of their loans with their customers, the best lenders will because it ultimately means the best for the customer as well as the most profitable relationship possible for the lender. Good customers stick around, and that is true even in the title loan business. Ask your lender about the interest rates, loan repayment period, how many payments you must make per month, the flexibility of those payments, including the payment dates and types, and even how they want you to pay. Some lenders will ask you to bring weekly payment into the physical location while some will allow you to mail it. Clearing up these questions with your lender before signing off on your loan will keep you protected while allowing you to reap the benefits of this bad credit lending option. Receiving payment quickly, generally on the same day. There is no need to make multiple visits to the bank at their request. Still being able to use your car. Unlike pawn shops, you keep your car while you make payments toward its worth. No one is turned away because of bad credit. This can shorten the amount of time you take to own your car fully. Small town businesses, like Midwest Title Loans, work harder to understand the needs of their neighbors. For over 20 years, Midwest Title Loans has been serving the valuable communities of Kansas and Missouri with our financing options for bad credit. We see our services as a critical part of helping those who need additional financial help in times of economic hardship, and we strive for compassion, openness, and honest when doing business with our customers. To get started with your loan, call or visit one of our business locations. We have stores in Kansas City, Gladstone, and St. Joseph, Missouri as well as locations in Kansas City and Overland Park, Kansas. For more details about the locations of our stores, store hours, or phone numbers, visit our website. Unfortunately for many, loans with larger financial institutions are not always preferable or possible. Short time frames, poor credit, and the need to pay off a loan sooner puts traditional loans out of the picture. That’s where short-term loans -- like payday loans or title loans-- come into the view. Using physical collateral rather than credit history, it is possible for those with poor credit to take out loans quickly and with a shorter repayment period. And despite popular myth -- this can save you money and time. The term “loan” comes with some weight for many in the Millennial and Gen Z range because of the consequences of student loans. While most student loan lenders expect their borrowers to pay off their loans in ten years, most take double that time to pay off. With statistics like these revolving around student debt, it’s plain to see why so many young Americans have a hard time believing that loans can be anything but long-term. But loans did not always use to carry this connotation , and there are many today who do not take advantage of short-term loan options because of the connotation. Here are some instances in which a short-term loan in Kansas City might be right for you. When Is the Right Time for a Short-Term Loan? There are many people out there who want to purchase big items and might have the extra money to take on monthly payments on a loan but do not have the extra money to take on a full purchase. People in this scenario take out short-term loans on things like computers, textbooks, car improvements, home improvements, and personal events like weddings. 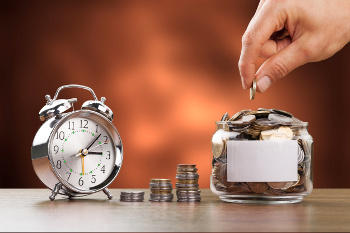 Those who take out short-term loans for these reasons often have plenty saved up toward the item or event that they wish to purchase and have no problem paying off the loan in a short period of time. In fact, these are why short-term loans in low amounts are often called payday loans. This is because they are meant to “carry you over” in the times that you are short on cash. Small businesses are aware of the upfront costs that come with startups. For those who are not in business, the reality is that is not cheap to start any sort of mainstream business. For instance, the median cost to start up a restaurant is $275,000.These figures cannot be accomplished with the help of a short-term loan, and businesses know that. Often, this money goal is achieved with the help of investors, a bank loan, or just blood, sweat, and tears. For those with established businesses, however, unexpected costs can come out of nowhere and during the worst times. If a small business needs a repair on a necessary element of their business but might not have all the money in their budget to fund this, this is when a short-term loan might come in handy. Then there are those with great ideas and no connections. Investors don’t just come out of thin air. Large businesses who are funded thousands of dollars and who obtain investors often know these people beforehand – and that is their collateral. It is harder for one-person ventures to find funding like this because they just don’t have the interpersonal collateral. For smaller-scale entrepreneurs, there might be some worth in obtaining a short-term loan. Sometimes people have a big idea that they know will shake the world but don’t have the cash to make it happen. Short-term loans provide enough money without a credit check or bank application to fund smaller entrepreneurial purchases like materials to construct an invention, a down payment on a rental shop or airfare to pitch your invention to someone halfway across the country. In these cases, a short-term loan could be a huge return on investment down the line. Short-term loans are often perfect for those with less-than-average credit scores because they do not always require a credit score. Instead, loans like car title loans and payday loans ask for alternate pieces of collateral as payment terms. This allows you to borrow up to the estimated worth of your item and get you the cash that you need for whatever reason you might need it. If you’ve got this type of collateral, make sure that you can make the payments on your loan. People are often tempted to take out loans on large purchases but neglect to consider a budget for your loan payments. Crowdsourcing platforms, like GoFundMe and Kickstarter have skyrocketed in the past decade. In fact, one study pointed out that 1 in 3 GoFundMe campaigns are focused on paying off medical care bills and a staggering $650 million dollars were raised on GoFundMe last year. These statistics make one thing very clear – that health care costs are much higher than they have been in the past and many people nationwide cannot afford the premiums associated with visiting a healthcare provider, causing them to need assistance with basic medical care. Healthcare aside, this also shows that millions more are being funneled into other personal ventures, like music albums, art projects, and trips around the world. But sometimes, crowdsourcing is not the best answer for funding purchases that you can’t pay out of pocket. Crowdfunding is not a financially secure way to try and pay for more pressing things, like surgeries and medical bills because there is no guarantee that your campaign will ever reach its goal. In fact, statistics show that nearly 90% of those who try and raise money for a personal campaign do not ever meet their goal. In times when crowdsourcing doesn’t work, or in cases when it is very important for people to meet their fundraising goal, considering a short-term loan is a better route to go down. 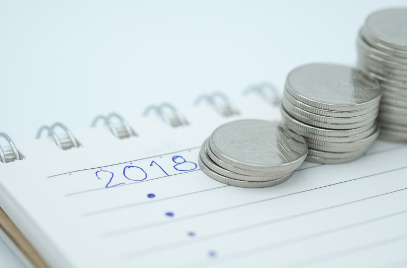 There are many more reasons why you might need to take out a short-term loan, but in the end what it all comes down to is that each reason for needing monetary assistance is a personal reason and attempting to try something that lots of other people try, like GoFundMe campaigns, is not always the best answer. If you’re looking to fund your next purchase, consider a short-term loan in Midwest Title Loan’s Kansas City location. We will be able to help you determine the best financial path to take to get you to your goal. To some, the fall is a welcome change from the heat of the summer. In July in Missouri, with temperatures averaging in the upper eighties, the intensity of the heat finds a way to make things like sprinkler systems, cars, and even people break down after a harsh spring. Before you know it, you’re left with a bunch of repairs right before winter weather (and holiday shopping) hits. Additionally, it’s college time, It can be difficult to manage the weight of school purchases and student loans all at once. This is what makes taking out a title loan during the fall such an advantage – it gives a little wiggle room for obtaining big, unexpected purchases without the stress of needing to find the money. Here are the top 5 reasons why taking a title loan out during this time of year might be to your advantage. For parents and college students alike, this can be a trying time of year. College students without secure funding scramble for a way to be able to afford to go back to school, and for those who can’t, they are expected to pay off their student loans almost immediately. Nearly 75% of those who went to online colleges and dropped out were unable to pay for any of their student loans. For those with higher debt and no job prospects, this is a huge originator of anxiety. Parents of school-aged children also have similar anxieties when it comes time to pay a school lunch bill, a band instrument bill, or a big uniform purchase. 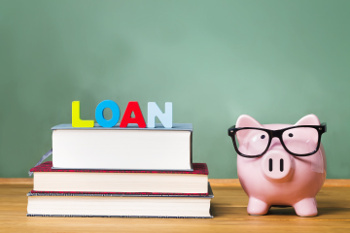 Title loans, which can be obtained quickly and without a credit check, allow those who might need extra cash for going back to school, beginning to pay off loans, or paying for major school equipment purchases to do so in a timely fashion that won’t impact their credit scores any further. Tornado season starts in March and ends in June, and when it does damage it really does damage. If you were in the path of a storm and your car made it through, there’s a good chance that you’ll still have a significant amount of cleanup to do in the following months. But the heat of summer can make repairs hard and can also exacerbate existing repairs. Not to mention the fact that summers is often not the best time for people to work – certain professions make their most money during this season but also spend the most time away from home. After all, the busiest time for tourism industries in Missouri is from June to August. By the time you get the chance to work on repairs, you might need a little extra monetary boost but you don’t have enough time to formally apply for a loan. Car title loans allow you to get a loan usually the same day and access the money as soon as you are approved, which can help those on a tight repair budget get the help that they need. It might seem early to some, but getting started on Christmas shopping months beforehand is one of the best ways to save money and to get the right purchase for the loved ones in your life. Financial analysts who participate in the holiday season’s shopping actually recommend shopping months beforehand for many reasons. It gives you the perfect amount of time to budget, get things while they are in stock, plan out elaborate gifts, as well as space out your spending rather than milking yourself dry right before taxes for the next year open up. Sometimes, though, you just don’t have the cash up-front for that one-of-a-kind gift. A car title loan allows you to take advantage of big Christmas purchases without feeling pinched for cash. Additionally, this type of loan allows you to keep your car while you do it, so you don’t need to drag that big tv set home with you on the bus. In Missouri, we’re always prepping for the next big weather event. Winters in Missouri might not be as turbulent as other places, but they can really eat a hole in your wallet when it comes to heating your home, keeping it safe, and prepping yourself and your car for the icy roads. In 2015, one of the roughest winters in the United States in recent history, over $1 Billion was spent in keeping the roads clear and ice free. For car and homeowners looking to pinch a penny and still keep a semblance of a warm house often requires an investment during fall. A big home weatherproofing investment, which needs to happen prior to the change from autumn to fall, is one of the benefits of using a title loan during this season. You get the chance to pay back your investment on your own terms and you are able to make a sound investment quickly. Not everyone is a fan of vacationing in the summer, and why would they be? Fall is one of the most beautiful times to explore the areas around Missouri and Kansas at peak foliage. Hickory, oak, ash, and maple tree change in mid-October when the air becomes crisp sweater weather. In the south, this foliage rivals that of New England’s. With a car title loan, it is easy to take advantage of an autumn vacation without having to have saved for months. The best part about it is that there is no need to use your loan to purchase a rental car. 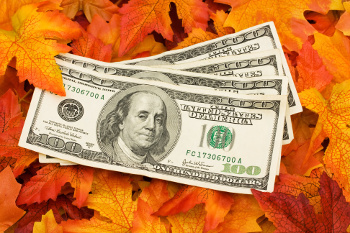 Car title loans lend you the cash and let you drive away into the colorful woods of fall. 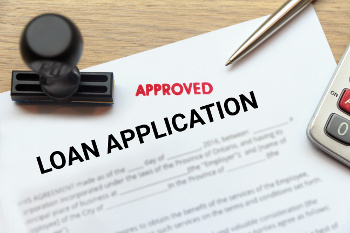 Kansas City, Gladstone, and St. Joseph, Missouri residents as well as Overland Park and Kansas City, Kansas residents are in a unique position to receive qualified help from title loan professionals at Midwest Title Loans. Bring yourself and your car by today to get started, or contact us. Have kids in expensive private school? Going to school yourself and having trouble paying for everything? Whether you’re a college student paying for classes and books, or you’re having trouble getting the kids’ private school expenses paid for, a title loan provider in Kansas City like Midwest Title Loans can help you. There are so many benefits to using a title loan for your tuition expenses, and you’ll find that a title loan is the perfect solution for unpaid tuition. Before you worry about if you’re going to make your tuition payments on-time, see how a title loan at Kansas City’s Midwest Title Loans is the perfect solution for you. Unlike banks and credit unions who take weeks to approve your loan application, due to extensive document checks and vetting, Midwest Title Loans specializes in a quick, painless process to get you the money you need. In fact, the entire process can take as little as 20 minutes. If you’re already behind on tuition, you will love our quick and simple process to get your loan. You won’t need to worry about being suspended or even kicked out of school, due to your inability to pay. In fact, we specialize in helping people get quick cash in all sorts of financial pickles, not just expensive tuition. So anytime you need quick relief from a financial burden, we will be here. To get started on your title loan, simply start by ensuring that your title is lien-free and that you have the other documents, then fill out an application online or in-person at one of our Kansas City locations. We’ll also need to inspect your vehicle to help determine its value, and then we’ll be able to decide how much we can loan you. Since we specialize in quick loans to Kansas Citians, we only give up to $5000 in our title loans. So from the beginning, we make it a standard to give smaller, more manageable loan amounts, and our customers don’t have any trouble paying them back. After all, we want to help you, not make your financial situation even worse. Whether you need a couple hundred bucks or a couple thousand for your tuition payments, we have the title loan that is perfect for you and your situation. You won’t need to worry about your tuition being unpaid any longer. In fact, you can even use your title loan to pay for your tuition up front, instead of making monthly payments. That way, you are completely worry-free for the entire school year, and you can pay us back in a short time. When you get money lent to you from a bank or credit union, you’re mostly looking at a long-term payback agreement but not at Midwest Title Loans. Our loans are under 60-day renewable contracts, so that you get your loan paid off quickly. Then you don’t have to worry about it anymore. We don’t want to burden you with a long-term payback that may seem like a good deal in the beginning but ends up costing you much more over the years, due to all the excessive interest that you pay. With our loans, they are quickly paid back with smaller interest amounts and short-term expectations set upfront. Plus, you get your title back quickly, which is great for your peace of mind. It’s a win-win for everyone. Most importantly, you want to stay in school, so it’s important to get tuition paid on-time. After all, school is what will help you or your kids, in the long-run, have a great financial future. Whether you’re going to school for a new career or your kids are learning what they want theirs to be, it’s important for your future. A title loan from Midwest Title Loans will help you get your tuition paid for, whether you live in Kansas City, Olathe, Overland Park, or St. Joseph. We help people across the Kansas City metro get their financial expenses covered and stay on top of their expenses, like tuition. Don’t let you finances get in the way of your education. If you’re having trouble paying your tuition and you’re in need of some financial support, Midwest Title Loans can help. We have five Kansas City area locations to serve customers throughout the metro area, from Overland Park to Kansas City, St. Joseph, and beyond. Wherever you are, we’d love to help you. Fill out an application online to get started or bring your car by your nearest location for a free inspection to help give an estimate of your potential loan amount. Whether you need a hundred dollars or a thousand, we’d love to meet you and discuss your needs. Call, stop by, or send us a message to get any of your questions answered and get started on your title loan today! Midwest Title Loans proudly provides the Kansas City metro area with car title loans, including the cities of St. Joseph, Gladstone, North Kansas City, Kansas City, Grandview, Belton, Lee’s Summit, Raytown, Independence, Overland Park, Olathe, Lenexa, Shawnee, and the surrounding areas. Are you needing help paying your bills or taking care of your expenses? When your savings is falling short or your paychecks aren’t coming soon enough, you need to find a loan provider that can meet your needs. And if you’re in need of money now, you need a provider that can get you the money you need quickly. A title loan is one of the best options for fast cash in Kansas City, and you’ll be impressed with our quick service with minimal requirements that allows you to get the money you need as quick as you need it. Here’s why a title loan at Kansas City’s Midwest Title Loans is a great option for people throughout the Kansas City metro area. When you go to a bank or credit union for a loan, it is a lengthy process, filled with extensive applications, document verifications, and time. When you want a simple, straightforward, and quick process to get the cash you need, you need to come to Midwest Title Loans. Our process can take as little as 20 minutes from start to finish, and at the very least, you can get your money on the same day that you need it. What do you need to get a title loan at Midwest Title Loans? If you’re unfamiliar with the term lien-free, it means debt-free, so your title needs to show that your vehicle is fully paid off. Your vehicle can be damaged, but as long as it’s driveable, you’re good to go. Your photo ID or driver’s license and car insurance simply need to be valid, and you need to be 18 or older. Since credit is usually a major factor in decisions to lend you money by most banks and credit unions, it can cause problems in getting a loan or fast cash. When you come to Midwest Title Loans in Kansas City, you won’t have any problems getting a loan due to credit issues. You can have good credit, bad credit, or no credit, and you’ll be OK to get a loan at Midwest Title Loans. We perform zero credit checks during our application process, so your credit will not be pulled, which can sometimes result in a drop in score. Our decision is based on other factors, like having a lien-free title and a valuable car. Midwest Title Loans stands out from other lenders with our extremely quick and professional lending service. In as little as 20 minutes, you can be on your way with your check in hand from Midwest Title Loans. When you need quick cash, there’s nothing more satisfying than getting it as quickly as you want it. That’s not something you can find at most banks and credit unions in Kansas City. There are just a few things we need from you to get a title loan: the requirements listed above, a filled out application, and to come into one of our Kansas City area locations to complete the process. We don’t need any excessive document checks or have an extensive vetting process. Come on in at any time, and we’ll get you taken care of quickly. Midwest Title Loans’ five Kansas City locations specialize in short-term loans, so they are in smaller amounts. We specialize in helping people get the money they need to make it to their next payday – not long-term loans. This results in less interest and less hassle over the long-term, because many times, a long-term loan can come back to haunt you with sky high interest over the years. Because our loans are manageable in terms of amount, we help you to pay it back in just a short time. It can be off of your plate in as little as 60 days, which is our standard repayment term. We do have a renewable option, if you need a little more time. Our goal is to help you get out of a financial bump in the road, not to cause you more strife in the long-term. Whether you live in Olathe, Lee’s Summit, Kansas City, or St. Joseph, Midwest Title Loans can help you get the money you need, as soon as you need it. Start your title loan application today by filling out our Online Info Sheet on our website now. You can also bring your vehicle by for an inspection to get a free estimate of how much your potential loan amount can be. Have a question or want to get more information? Feel free to call us or send us a message through our website’s form at your convenience. You can also stop in to meet our team. We look forward to getting to know you and helping you with your loan! Midwest Title Loans is the trusted fast cash loan provider in the Kansas City metro area, to customers in the cities of St. Joseph, Gladstone, North Kansas City, Kansas City, Grandview, Belton, Lee’s Summit, Raytown, Independence, Overland Park, Olathe, Lenexa, Shawnee, and the surrounding areas.